Fire Emblem Heroes is about to get a little more colorful. The Spring Festival tosses fan favorite heroes into bunny costumes and adds a new, lighthearted side story to battle through. But it’s mostly about those absurd outfits. The Spring Festival will run from March 30th to April 13th. The biggest draw from the event are four bunny costume for major heroes. Chrom and Lucina from Awakening will hop into the fray alongside Xander and Camilla from Fates. Xander was noticeably absent from the game until now. And, holy crap. He’s making an joyous entrance. These goofballs are cute and will be available as heroes from your orb summons. I definitely want Lucina. The heroes are a bit different here. Mostly, they’re getting odd weapons as well. 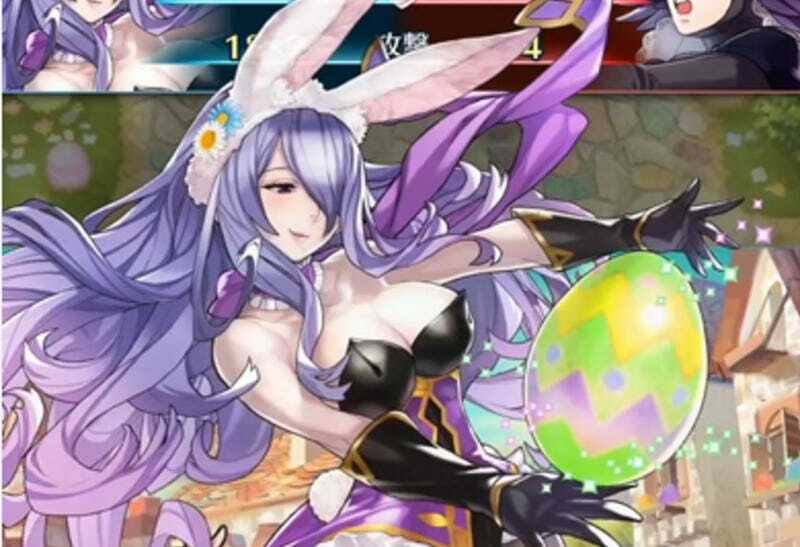 Camilla forgoes her axe for what looks like an egg that casts green magic. It’s sure to be a boon to flier based teams. Xander isn’t using his signature Siegfried sword either; instead, he’s attacking people with a giant carrot. Because folks gotta have their Vitamin D and their eyesight’s not going to cure itself! There’s a small side paralogue as well. Fire Emblem’s had some wacky optional content in the past. Fire Emblem Awakening had a hot spring map and a fall festival. 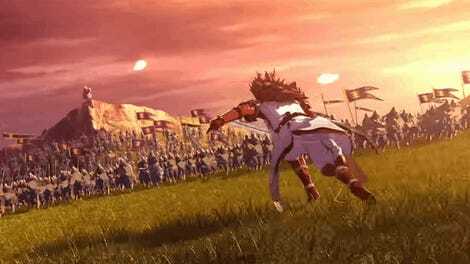 Fates had a fan-service heavy beach brawl. I wasn’t expecting anything like this for Heroes. Try not to whale on summon draws trying to get these festive character though.